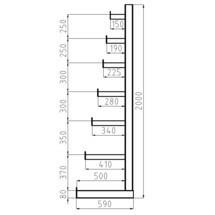 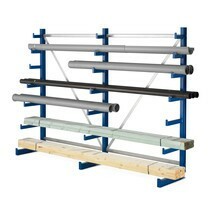 Does your warehouse have to accommodate long goods in the form of heavy pipes, beams or poles? 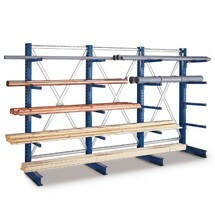 Then special racks are a great help. 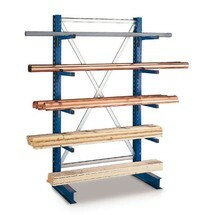 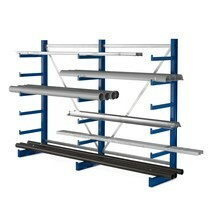 META cantilever racking is ideal for limited storage space on walls as it has a one-sided design. 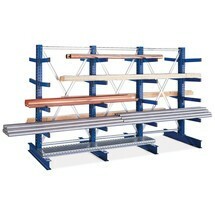 Cantilever racks are indispensable in any warehouse for the storage of load carriers, cross members and similarly shaped heavy objects. 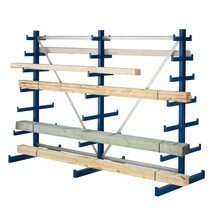 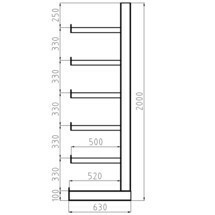 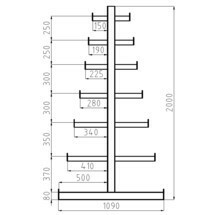 Of particular value is the high capacity offered by the double-sided versions with a load capacity of 200 kg.